Lampuga Electric Surfboards arrive in Asia. The Lampuga is the â€˜must-haveâ€™ boating toy for next summer! 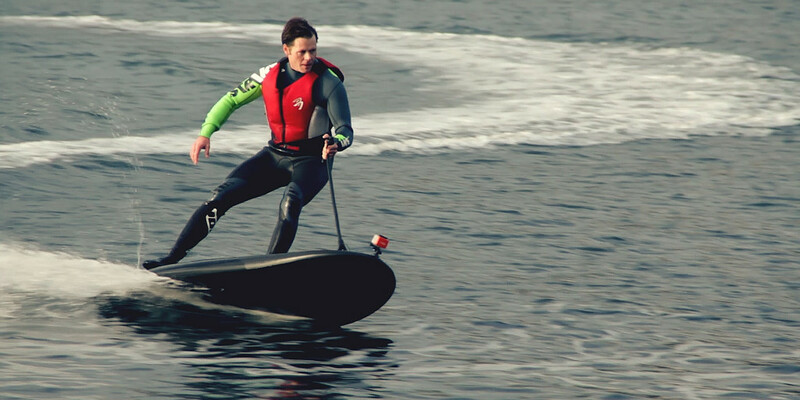 The German-designed-and-built electric surfboard, currently the fastest on the planet, is now available in Asia directly from Asia Marine Yacht Services Ltd., who are also the Asia-Pacific distributors. More than a surfboard, the Lampuga is perfect for cruising in coastal areas, speeding through warm and sunny bays, drifting in secluded lagoons or just enjoying the most relaxing and quiet bit of sunbathing ever, far from overcrowded beaches. With a top speed of 55 kph, there are few that can keep pace with this carbon fibre e-surfboard. Powered by a 52-volt lithium-ion battery providing between 20 and 35 minutes of runtime, this easy-to-use water toy has a range of up to 11 nautical miles or 20 km. Designed and produced by Sashay GmbH, in Hamburg; the Lampuga was a big hit at the recent DÃ¼sseldorf boat show. Stand on the non-slip top, twist the throttle in the grip and you are away! The lightweight carbon fibre/composite construction helps the Lampuga to output as much speed as possible when planing across the water; the rider controls the board with a hardwired twist throttle that also serves to steer the nose. Itâ€™s easy! Beginners can be zooming around the bay in no time at all. Safety standards integrated into the Lampugaâ€™s design ensure that everybody and everything on and in the vicinity of the board has been considered. The battery and all motor parts are fitted into a carbon fibre/aluminium composite case. A safety leash attached to the ankle is secured by an engine kill-switch should the surfer fall off, and there are no bindings or boots to adjust or get in the way. Instead there's a basic anti-slip mat that is comfortable standing or kneeling and fits everyone immediately. The two grab handles on the board's deck provide grip and steering when knee-boarding and launching. The Lampugaâ€™s battery charges in two hours with the (included) 30A charger, or in an hour if you buy the optional 60A â€˜superchargerâ€™. Beyond charging, the board is designed to be virtually maintenance and hassle free. The motor is integrated into the board's structure and is not designed to be owner-serviced. A bolt-on access panel on the tail lets you inside to check and change the jet drive seal should the board start taking on water. Thatâ€™s it. There are two versions of the Lampuga. The Boost is 2.6m in length and weighs around 39kg (86lb). Not something you can drag over the dunes to the beach, but perfect for the sports-minded powerboat owner. If space and weight are a consideration, then the Lampuga Air is the perfect alternative, combining the speed and agility of the Lampuga Boost with the handiness of a piece of luggage. The body of the Lambuga Air is inflatable - with the engine, battery and electrical control systems fitting into a 100cm x 50cm x 10cm carbon fibre and composite case. Inflation is by means of an integrated electric pump, and deflating the Lambuga Air makes it transportable by hand. â€œMust have!â€ This sharp, speedy, personal watercraft is the perfect accessory for any superyacht, boat or beach vacation. No matter whether you prefer standing, kneeling, sitting or lying down, just make sure that when are you are e-surfing that you do it with a dash of style! Editors: Press Release as .doc file. Link to Hi-Res Images. 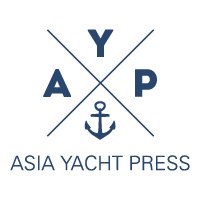 Asia Marine Yacht Services Ltd is headquartered in Hong Kong, with offices in Thailand, Philippines and Indonesia. 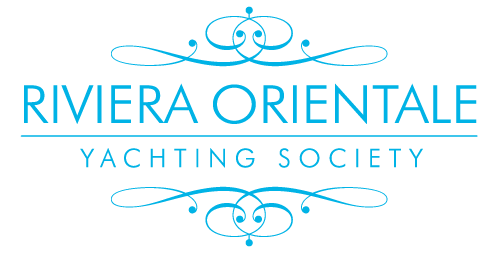 Lampugas can be purchased through any of the branches, and are available to experience through luxury yacht charters in Hong Kong and South East Asia with Rivieria Orientale - Yachting Society.